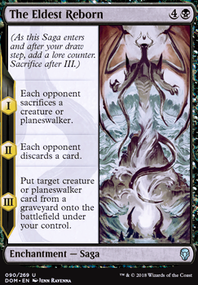 — Each opponent sacrifices a creature or planeswalker. — Each opponent discards a card. 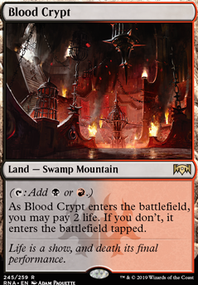 — Put target creature or planeswalker card from a graveyard onto the battlefield under your control. 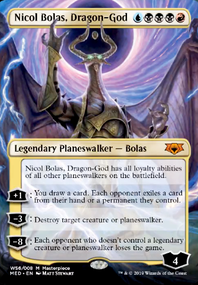 Not sure what your budget is or how you want to be playing Jeleva, but I would recommend basically all the extra turn cards you don't already have like Temporal Manipulation , Temporal Trespass , Temporal Mastery , Time Warp , Walk the Aeons , and Part the Waterveil . At the very least, one of these could be used to replace The Eldest Reborn . Hey, thanks for your comment! This build has some really interesting stuff, I never considered Vraska, Relic Seeker or The Eldest Reborn for a reanimator build, despite how many times I’ve cursed at seeing someone else drop an Eldest Reborn lol. 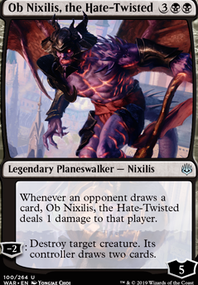 Maybe putting The Eldest Reborn in the sideboard and bringing in a moment of craving would be good You probably know better than I do. Eternal Witness , Green Sun's Zenith , and Chord of Calling definitely have a place here (and ignore those that say E-Wit is overrated: your commander gives you the necessary reanimation outlet to bring it back, and your deck should be well tuned to sacrifice it for value). I'd also strongly recommend Reclamation Sage for similar reasons: mana rocks and enchantments are really good in this format. It's not budget, but Mulch combos well with Scroll Rack . That's a possible upgrade. Do you know what combos well with E-Wit and Meren? Strip Mine . And Life from the Loam goes well with both. Board wipes would be nice here. It's not like you don't have reanimation. Assassin's Trophy and Beast Within also seems like they'd belong here. Bojuka Bog also belongs here. Dark Ritual : you're not a fast combo deck. It doesn't really belong. The Eldest Reborn : Any normal Edict is probably better, you've got a great reanimation package already, and there are better ways of forcing discard. It's kind of win-more. Golgari Findbroker : E-Wit is strictly better. Wall of Blossoms : There are better card draw permanents in Green. nutrun VS midrange, the goal is to out-tempo them. First you need to control the board, then a well placed 2-for-1 like the The Eldest Reborn or Dream Eater often locks it up. Esper Control is not an easy matchup, they are usually favored. Bring in all the blue cards. Thought Erasure will really shine. If they only have 1 or 2 win-cons, bring in Unmoored Ego. Any place for The Eldest Reborn ? The Dark Bargains are there for the deck to have more consistency and more copies of cards like Consecrate / Consume or The Eldest Reborn would be my answer to chromium since esper will have things like Mortify to remove the procession before choosing to deploy the chromium and counterspells will always be a worry with your answers. I didn't include procession because it didn't feel necessary. Deck this week went 3-1 beating mono blue 2-0, temur drakes 2-0, mono white 2-1 and losing to mono blue 0-2. Saturday it went 2-1 beating abzan midrange, losing to Dimir surveil 0-2 and beating Naya Hero 2-1.